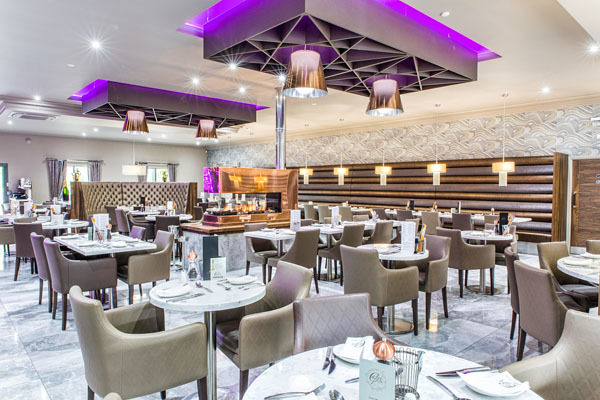 Versital has been involved in the extensive renovation of the brand new ‘Capri’ Italian restaurant recently opening its’ doors. 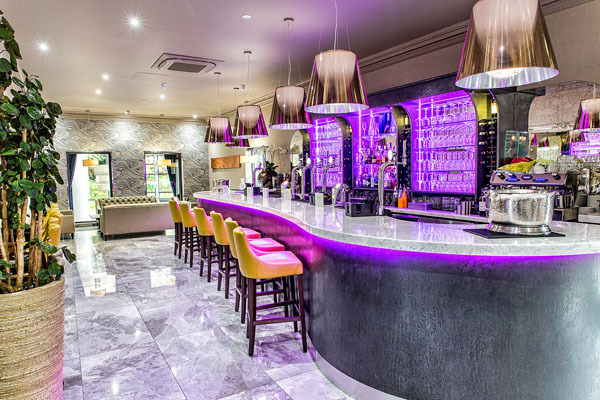 The second venue for this successful Restaurant has seen a massive renovation of the original building and over a million pounds worth of investment, including a brand new extension, marble bar, new kitchens, an open air terrace and beer garden. 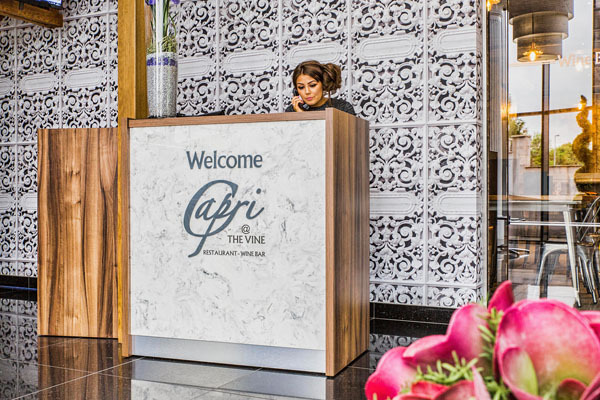 At Versital we are delighted to have worked alongside Jem shopfitting who were responsible for the full building works at Capri, as well as building the custom seating and bar areas. 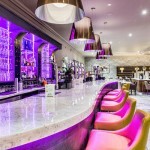 Versital white marble finish ‘Arabesque’ was chosen for its’ feature bar, as well as dining tables throughout the venue. Versital faux marble is the ideal substitute to a real marble bar, being totally waterproof and stain resistant. Unlike real marble, Versital is non porous and doesn’t suffer from the problems the natural material inherently brings, such as staining. 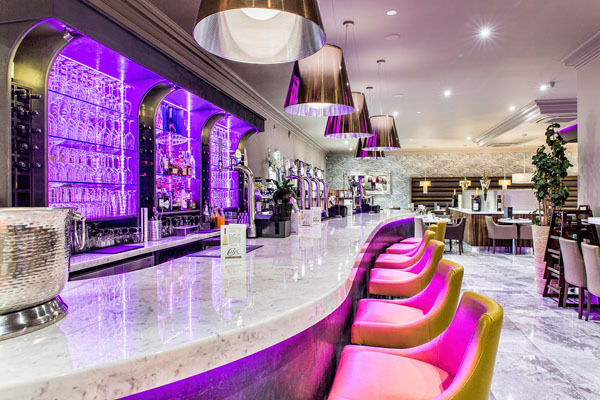 This beautiful marble bar includes a large curved marble style bar top complete with feature LEDs. The bar top was manufactured to order to the clients precise shape requirements to a supplied template. Jem shopfitting installed the bar tops themselves with guidance from us. Bar tops can be installed quickly and simply without the need for masonry or specialist equipment. We supplied the clients specified marble table sizes in the matching finish to the bar top, again in Arabesque. Highly practical as well as great looking. They clean easily, requiring a simple wipe, and don’t stain even from likes of acidic problem foods such as balsamic vinegar and beetroot. 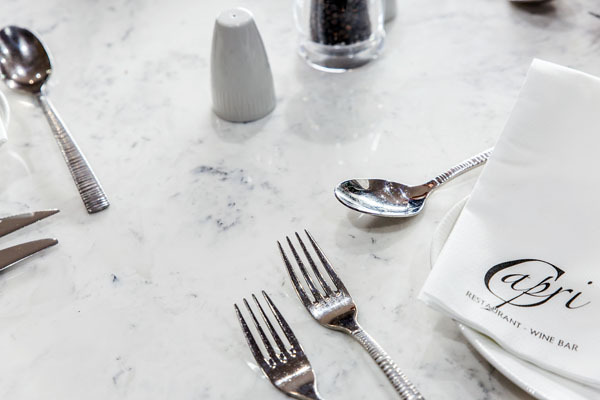 As a commercial manufacturer, we are very experienced at working alongside both shop fitters and restaurateurs. We are always happy to manufacture and supply to you direct to give you the best price possible. Versital marble bar tops are very easy to install, but for additional peace of mind, we also offer free training to give installers the opportunity to practice and get advice first hand. For a marble bar top or table top quote or more information please send us a contact form, or call us on 01204 380780.